Everything is cuter when it's in miniature form. Even macarons. 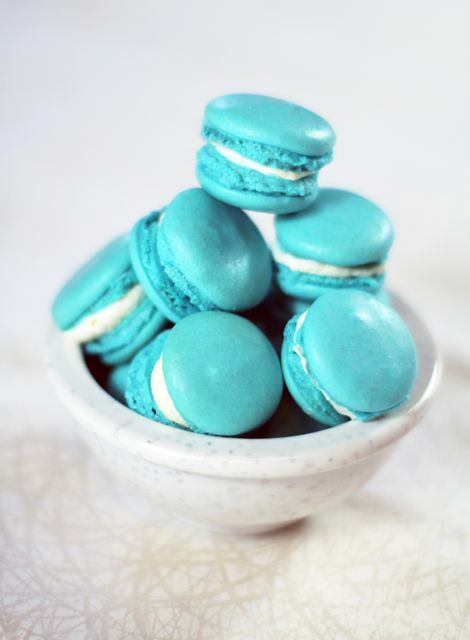 And a bowl of itty bitty blue macarons would make anyone smile. Gobble 'em up! There's plenty. We tricked. We treated. We got tired.